Lamin-x Fog Light Covers come precut for both the left & right sides of your Ford Fiesta ST 2014-2017. The ST Model is based off of the U.S. Spec. Includes handling tabs for easy installation. Protects your fog lights from damaging road debris. Choose Clear for invisible protection or Color films to add a bold style. Hey Matt, Lamin-x does offer a 5 year warranty that protects against fading, cracking, lifting, or hazing., so feel free to contact us or them to get this taken care of for you. I went with blue because most people get the yellow, wanted something different, when the lights are off in the sun its blue, not super noticeable at night though, but at the same time doesn't impact negatively, and I wanted them mostly to protect the lens from rocks, and it does that wonderfully. 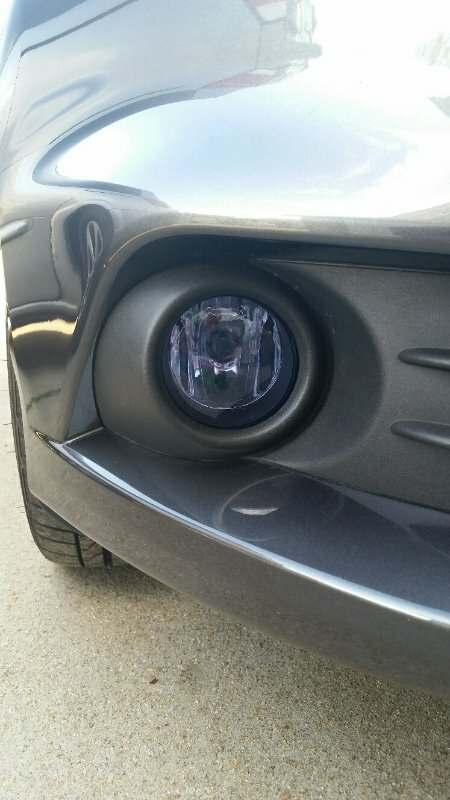 Easy to install, probably easier if you had the fog light housing out of the car. great product overall, will enjoy for quite some time. Took about 10 minutes to install. Thanks to the small opening at the bottom of the fog lights no need to remove them. Cleaned light and tried off then installed sticker dry, Looks super yellow and adds some aggressiveness to the car. This is a must if your daily commute takes you on the highway at all, the fog lights on the fiesta ST are super low and are a target to get destroyed by rocks. The lamin-x being pre-cut was convenient though I would recommend you remove the foglights from the bumper first. Since the film is cut a bit bigger than the lights it can be a pain to wiggle the film in between the bumper and the light.